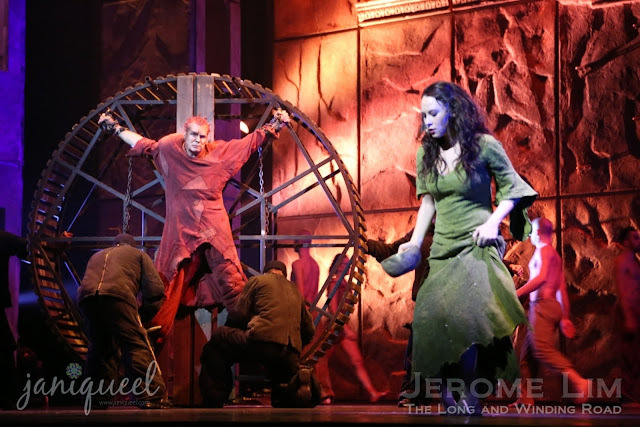 On the 17th of December, Singapore played host to yet another spectacular world class musical in the Notre Dame De Paris, Taking the world by storm since its creation in France in 1998, the musical spectacular Notre Dame de Paris is based on the author of Les Misérables, Victor Hugo’s classic novel and tells of the tragically beautiful tale of Quasimodo, the Hunchback of Notre Dame, and his love for the beautiful gypsy Esmeralda, who at the same time, was also the object of desire of the Priest Frollo and the Soldier Phoebus. 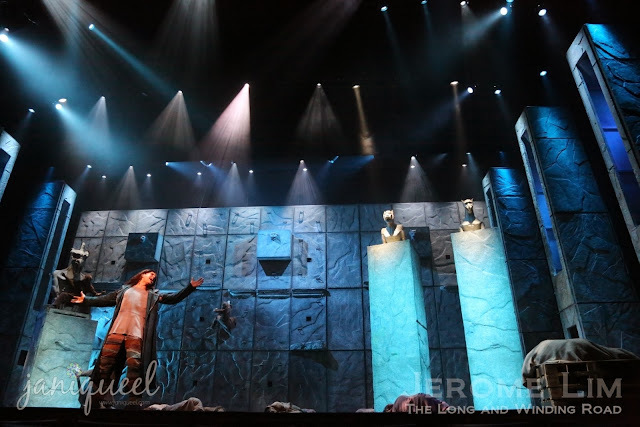 The musical is the creation of lyricist Luc Plamondon and composer Richard Cocciante who have both won numerous awards for their works. Notre Dame de Paris was adapted into English by Will Jennings, Oscar-winner for My Heart Will Go On from the smash-hit film Titanic. 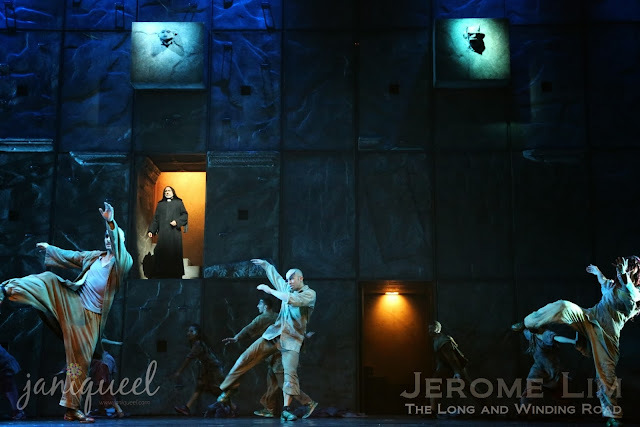 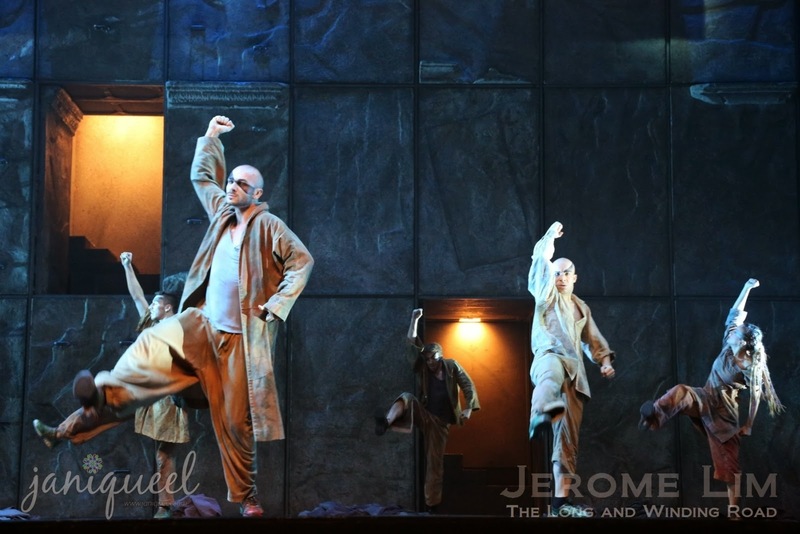 From the opening well known song Le Temps des Cathédrales (one of two personal favorite songs of mine) I was treated to a wonderful smorgasbord of emotionally charged French inspired music, elaborate dance moves and a plot which was at once haunting as it was beautiful. 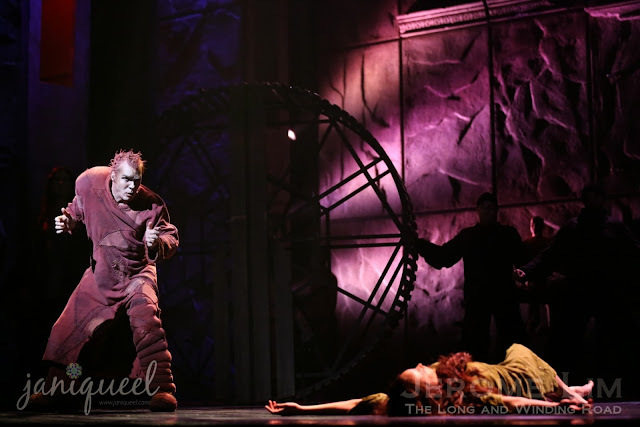 Directed by avant-garde director, Gilles Maheu from Cirque du Soleil, the musical has a distinct avant-garde approach quite different from the literal and lyrical interpretation of Les Miserables, or even Phantom of the Opera, heavily featuring the use of acrobatic dance moves and elaborate and opulent choreography. 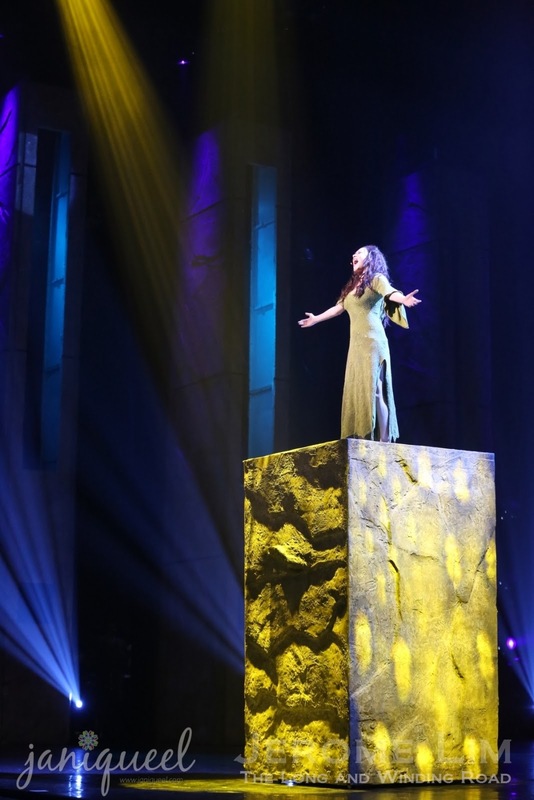 The Notre Dame de Paris soundtrack has sold more than ten million copies worldwide and the song Belle has been elected the ‘Song of the Century’ in France, Canada and Russia. 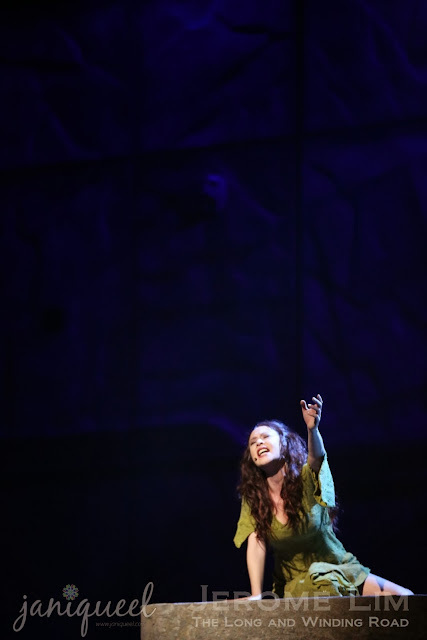 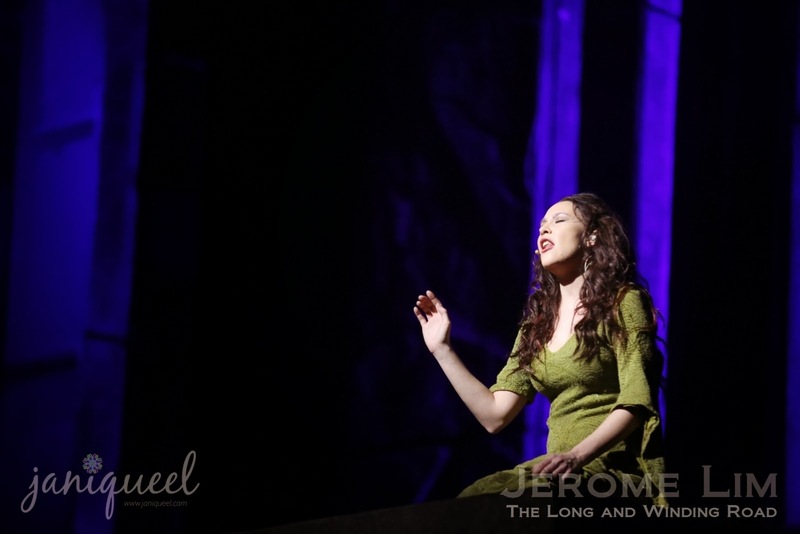 It was not too hard to see why, as when the song Belle was sung, the hauntingly beautiful melodies and tune of that song echoed with me even when I left the halls of Marina Bay Sands Mastercard Theatre. 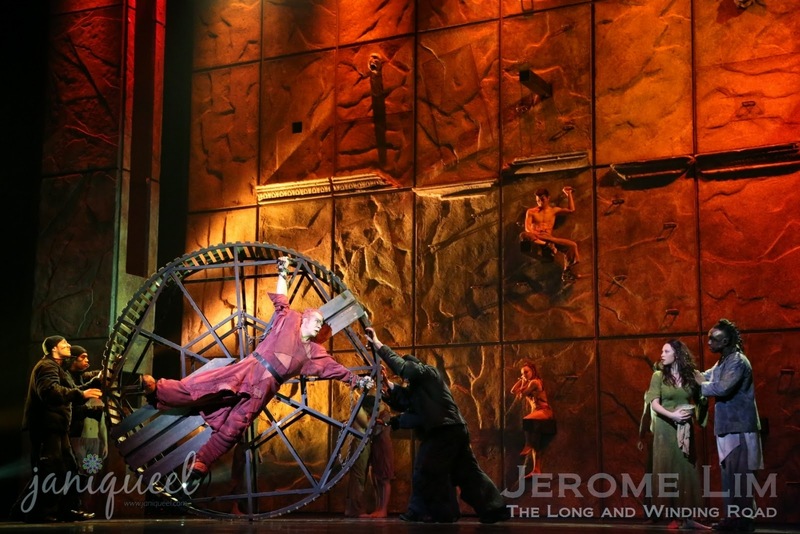 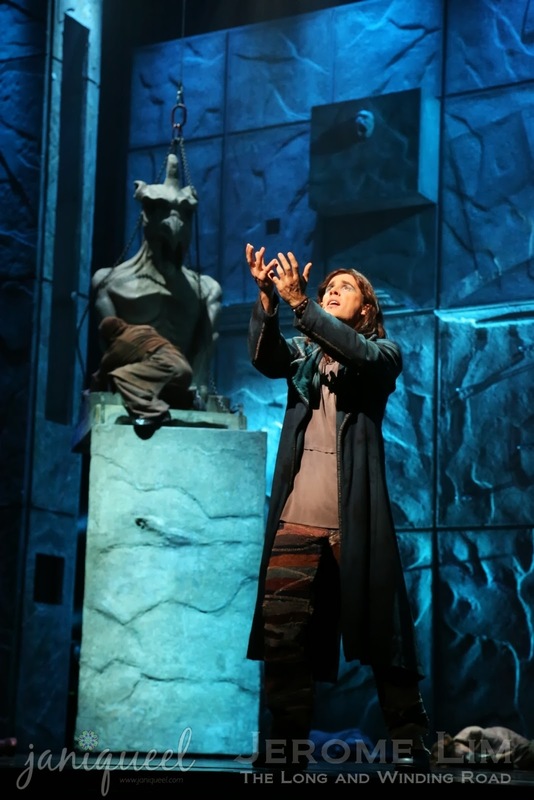 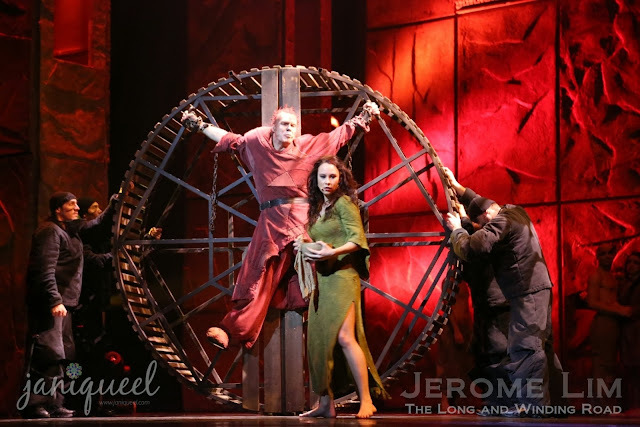 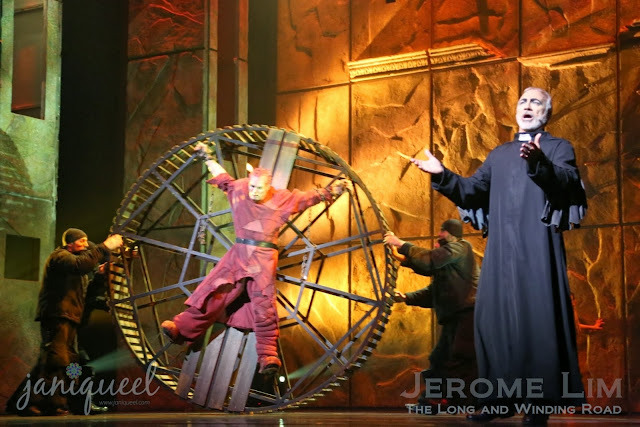 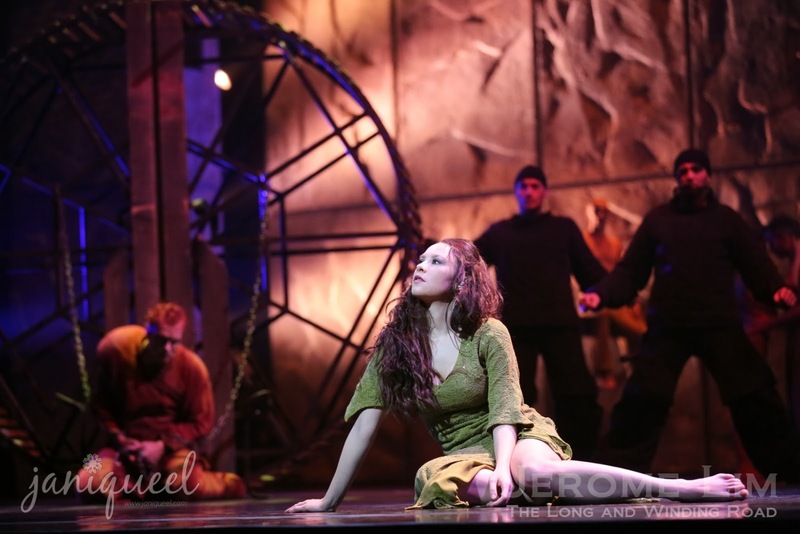 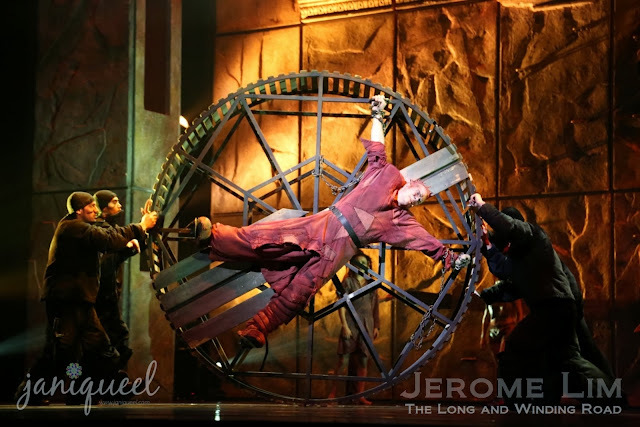 That the song was performed to emotional perfection by all three male leads – Quasimodo, Frollo the priest and Phoebus the captain of the guard makes it a memorable night. 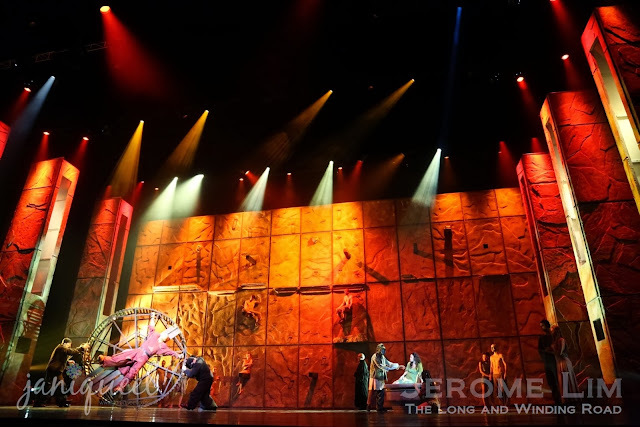 I did have some problems following parts of the musical due to my seating at the left side of the theatre – the position of the speakers made it quite difficult to hear the words that were sung by the actors. In addition, there were times the lyrics seemed labored, as if they were force fit into a musical piece that was originally written for the nuances and intonations of the French language. 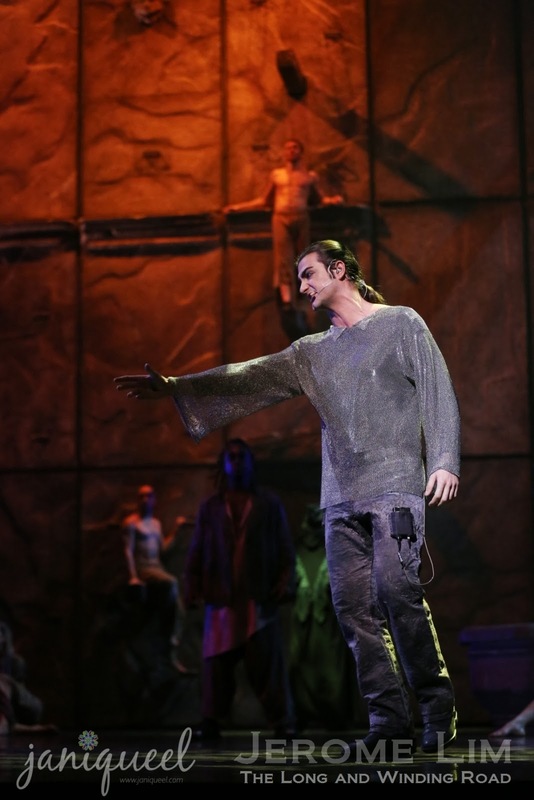 Aside from these minor quibbles, the musical was a treat. 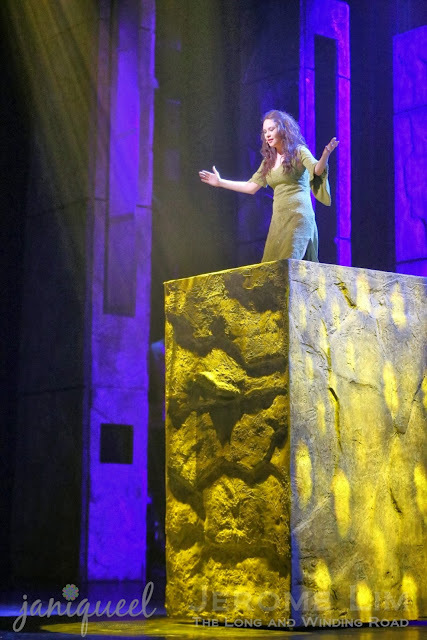 Go in without any pre-conceived notions of what a musical should be like – this is no Les Miserables or even Phantom of the Opera – the set is much simpler and the attention to details deliberately sparse (there was even a scene where the dancers wore track suits and track shoes) given its modern, avant garde interpretation – the use of dancers in the background to complement singing was a frequently used technique – but what a dance performance the cast put up – the height of its magnificence reached during the scene when Quasimodo was singing about the three bells of Notre Dame, with dancers hanging precariously off the bells performing acrobatic moves. Notre Dame has come to Singapore and it is not to be missed! 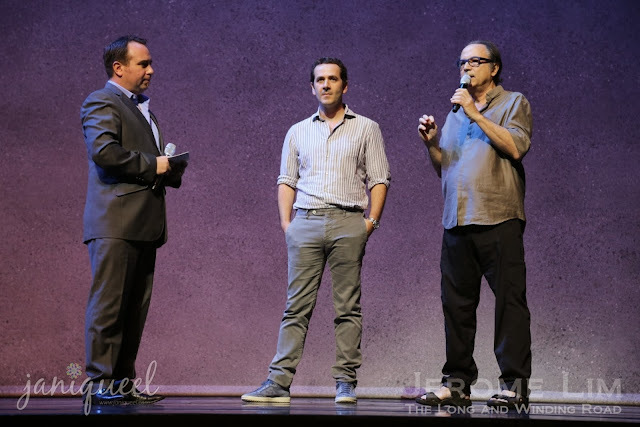 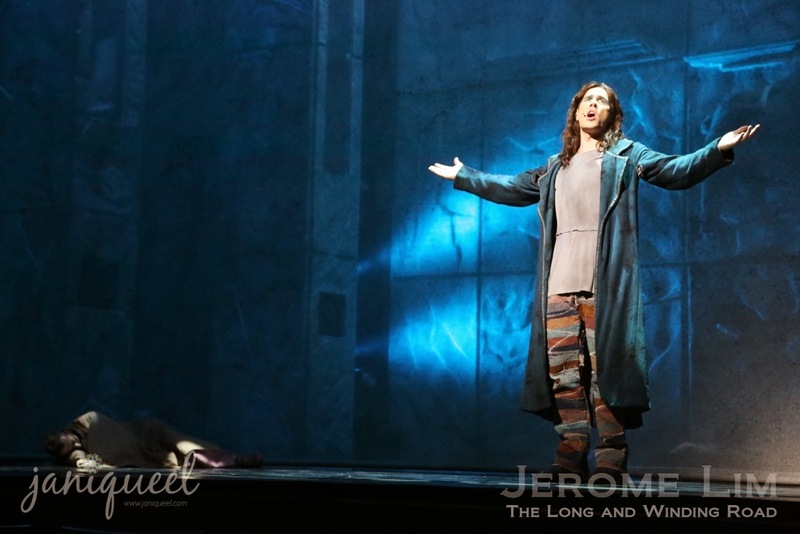 Thank you David for the review and Jerome for the amazing photos!